From fjords to mountains, schools of herring to herds of reindeer, Scandinavia is rich in astonishing natural beauty. Less well known, however, is that it is also rich in languages. Home to seven languages, Scandinavia has traditionally been understood as linguistically bifurcated between its five Germanic languages (Danish, Norwegian, Swedish, Icelandic, and Faroese) and its two Finno-Ugric ones (Finnish and Sámi). 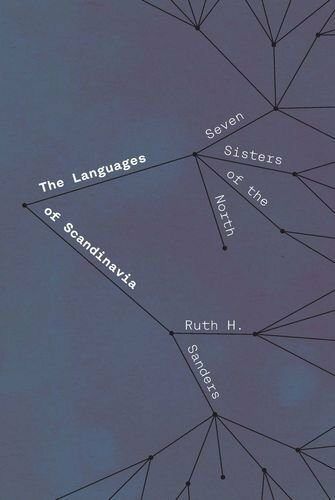 In The Languages of Scandinavia, Ruth H. Sanders takes a pioneering approach: she considers these Seven Sisters of the North together. While the two linguistic families that comprise Scandinavia’s languages ultimately have differing origins, the Seven Sisters have coexisted side by side for millennia. As Sanders reveals, a crisscrossing of names, territories, and even to some extent language genetics—intimate language contact—has created a body of shared culture, experience, and linguistic influences that is illuminated when the story of these seven languages is told as one. Exploring everything from the famed whalebone Lewis Chessmen of Norse origin to the interactions between the Black Death and the Norwegian language, The Languages of Scandinavia offers profound insight into languages with a cultural impact deep-rooted and far-reaching, from the Icelandic sagas to Swedish writer Stieg Larsson’s internationally popular Millennium trilogy. Sanders’s book is both an accessible work of linguistic scholarship and a fascinating intellectual history of language.